Hi guys! 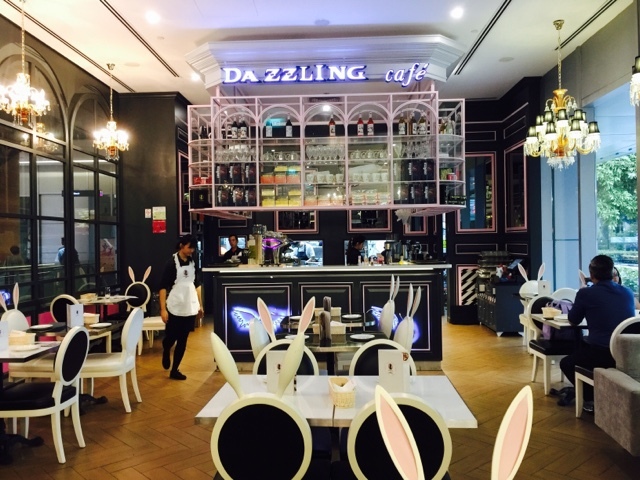 I finally tried the Dazzling Cafe! I have heard and read so much about it online and from friends. I managed to convince my buddy to take me there although she has been there a few times and she wanted to try something new. We were presented with two small menus by a waitress dressed in a chambermaid uniform, perfect for those with uniforms fetish. I opened the menu gingerly. There were not many items but the description and pictures of the food items made my mouth water. The Mentaiko Spaghetti at S$18.90 was highly recommended by my buddy. She was raving about it. It looked so pretty! It tasted yummy too! 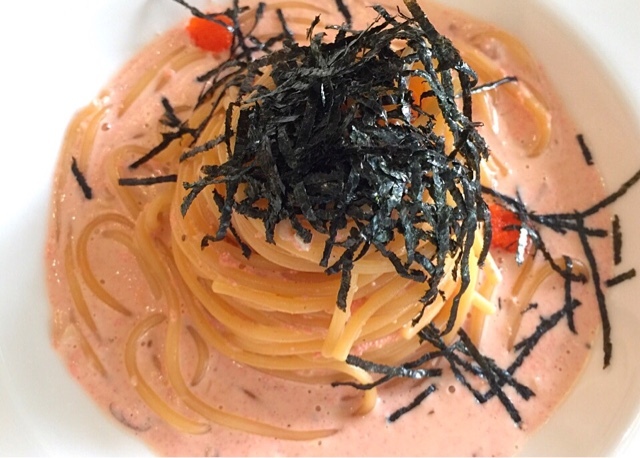 Every mouth of pasta was accompanied by generous amount of creamy roe. I am not a high carbo person so the only drawback for me was that - there was no meat other than the roe. I would definitely not be able to finish it on my own. 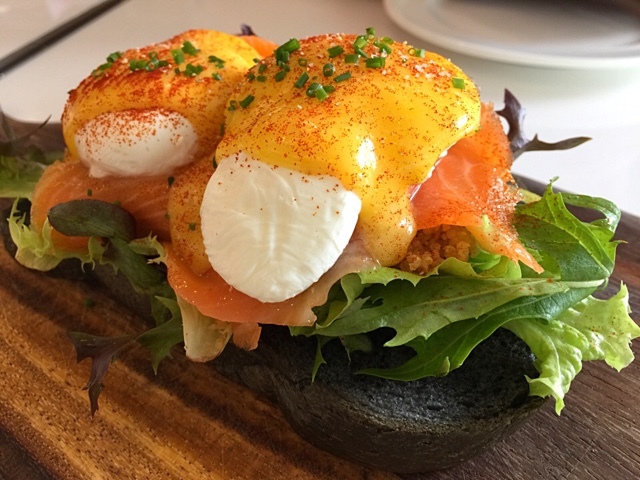 We ordered Norweigian Smoked Salmon Eggs Benedict at S$23.90 and it did not disappoint. The eggs were runny. The bread was lightly crisped. The vegetables was fresh. The sauce was just the right amount that I wanted it. Some other places tend to put in too much sauce, making it overly sour. Another friend just knocked off and joined us for dinner. 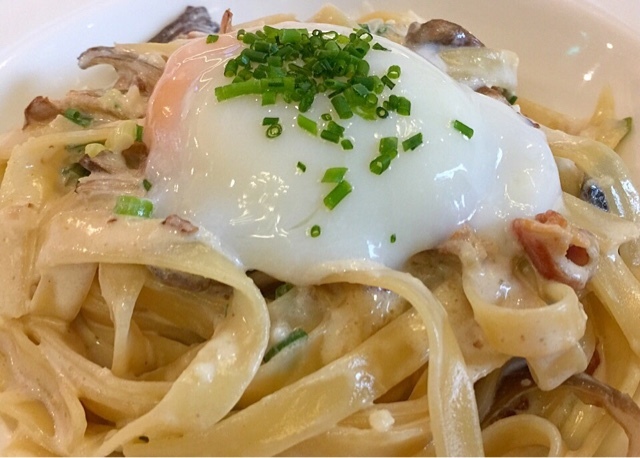 He ordered the Bacon and Mushroom Fettuccine (S$18.90). I loved it when they serve creamy pasta with a runny egg. It makes your mouth water when you mix the egg with the rest of the creamy sauce. The sauce was of the right balance, flavorful yet not overpowering. 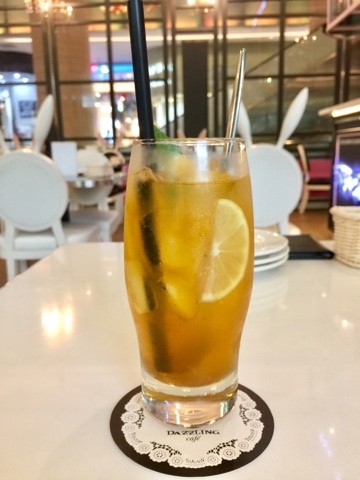 I ordered the Assam G.B.O.P Superior Milk Tea (S$8)- highly recommended by buddy. I would never order it on my own as I hate assam drinks! Surprisingly or thankfully, the assam taste was not very powerful and it complemented the tea quick well. I enjoyed it but I would be looking forward to trying other teas on the menu. Finally the highlight of the meal! 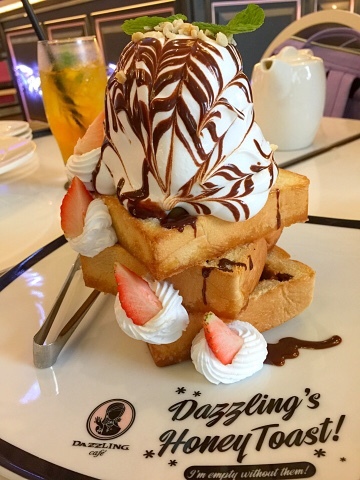 Dazzling Cafe is famous for their thick toast. 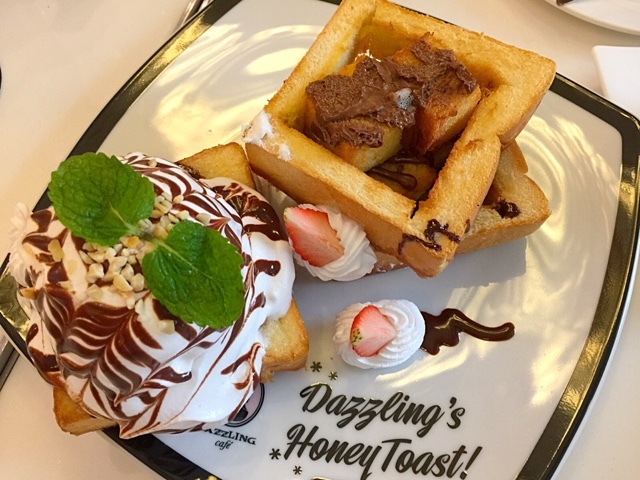 We ordered Hazelnut Chocolate Honey Toast (S$19.90) as I love everything hazelnut. When it arrived, it was so pretty that I could not help but smile. We removed the ice cream toast to get to the small cubes of toasts coated with hazelnut chocolate cream. The hazelnut chocolate cream was as delicious as Nutella, which is very nice. We finished the ice cream very quickly and no wonder, there was an option to add additional scope of ice cream. 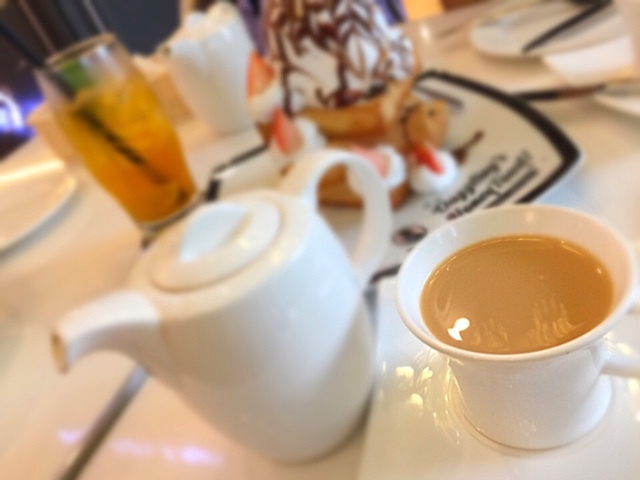 I enjoyed the dessert! Yums!